Can anyone identify this insect please,discovered it basking on back fence. It's a bit hard to say, but red tailed bumble bee seems likeliest. 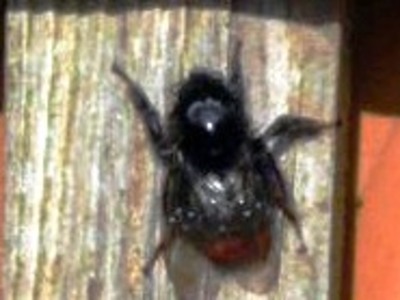 It is a red tailed bumblebee. Lovely creatures. Bumblebees have to be one of my favourite garden visitors.